Using Shogun to handle your Shopify store design? You can now easily translate all your pages with Weglot! Shogun is the most popular Shopify Page Builder on the market right now. Thousands of store owners are using Shogun’s powerful drag and drop page builder to design their store and increase their conversion rate with beautiful templates. Many of our customers have asked for a way to easily translate their Shogun made pages alongside their regular Shopify pages. 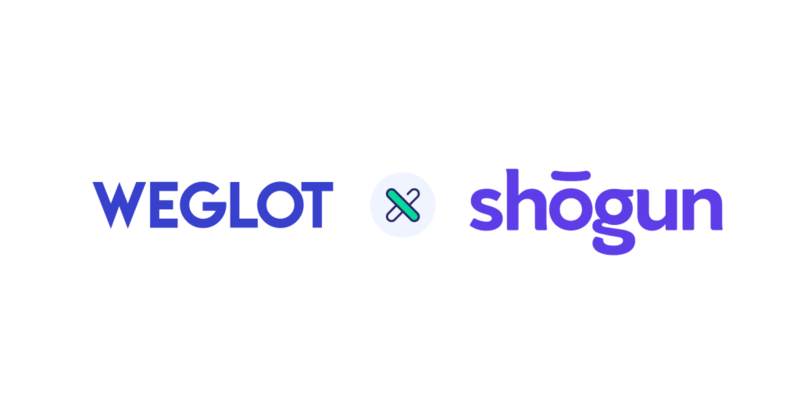 We are happy to announce that Weglot is fully compatible with all Shogun created pages and allows you to translate your store pages in any language. Weglot and Shogun were created with the same philosophy in mind: Help Shopify owners easily customize their store. No coding skills are required to use either solution. Using Shogun and Weglot, you can get your customized multilingual store up and running in a matter of minutes. How do I translate my Shogun Pages using Weglot? Start translating your pages directly inside Weglot! Weglot is optimized for multilingual SEO by default. Your Shopify store will be indexed on all major search engines in the translated languages. This will help you reach more potential shoppers around the world! Not using Weglot yet? Sign up for a free 10-day trial to access all of Weglot. If you’re currently a customer, you can already enjoy the Shogun integration. Have questions on how to translate your Shopify store? The Weglot dedicated support team is here to help you out.